HOUSTON (KTRK) -- Investigators say they've identified the suspect in a northeast Harris County double murder, and it was his own mother who helped them find the evidence they needed to charge him. 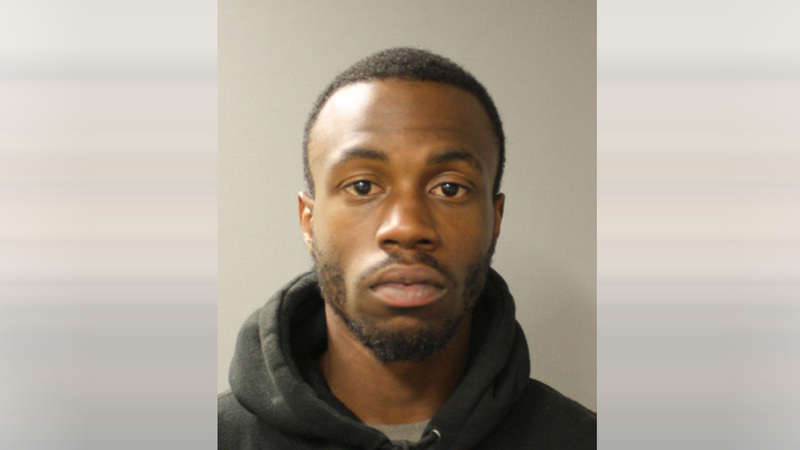 Wilburn Bazile, 22, is charged with capital murder in connection the April 12 slayings of Homer Lee Ross Jr. and his daughter, Katherine Ross, at the family's home in the 6300 block of Larchbrook. Investigators discovered the victims' bodies on April 17 after a next-door neighbor called the Harris County Sheriff's Office and asked to conduct a welfare check on them, according to Bazile's charging documents. A Harris County sergeant who responded to the scene found Homer dead in the garage and his daughter's on the floor of her bedroom. Both had been shot in the back of the head. Homer's 2014 silver Chrysler 200 and several weapons, including two shotguns, were missing. During the investigation, Homer's other daughter told detectives that she and her son used to live at the family home and identified Bazile as one of two persons of interest, the probable cause document states. She said Bazile was a friend of her son's and he would occassionally spend the night with them. Court documents state surveillance video from a nearby house captured video of Homer alive the morning of April 12. He and another person were seen leaving the house in his car and then return about 10 minutes later. Then an hour and half later, that camera captured the same person who was with Homer step out of the house, search the car and then drive off with it. No other activity was seen at the Rosses' house until the discovery of the victims' bodies. Investigators said several of Bazile's friends saw him driving Homer's car, and when an officer finally spotted Bazile driving it in on a roadway, he gave chase, according to the court documents. After a brief pursuit, Bazile pulled over, and as the car was getting towed, his mother showed up to the scene. Bazile's mother, according to his charging documents, told detectives at the scene that her son killed Homer and Katherine then stole the car. She agreed to go to the Harris County Sheriff's Office to conduct a voluntary interview. There, she told investigator sher son confessed to murdering Homer and Katherine because they caught him trying to steal money from their house. She also told detectives they'd find the stolen shotguns at his friend's grandmother's home. Detectives went to that house and during a search found the two shotguns. At that point, investigators submitted the paperwork asking for a capital murder warrant to be issued for Bazile. He was arrested and taken to the Harris County Jail, where he is being held without bond until trial.